Tonight on The We Love Woking Show…. 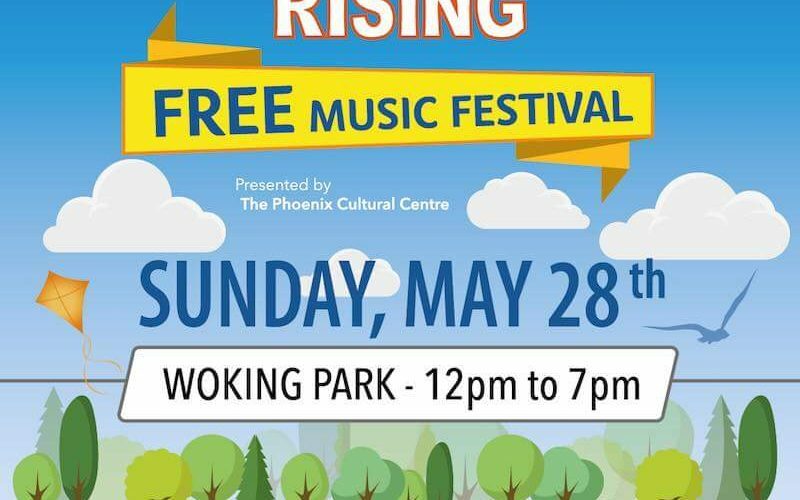 We’re joined by Elaine Mcginty, Joe Buckley from The Phoenix Cultural Centre and we’ll be hearing what’s in store at this year’s ‘Phoenix Rising’ – Woking’s Free Live Music Festival! A family event, happening this Sunday 28th May at Woking Park, near the bandstand area. We’ll find out a little about the acts performing and other things happening on the day, plus we’ll learn more about the centre and get an update on progress with The Fiery Bird, Woking’s Live Music Venue and cultural centre. There’s music from some of the acts performing, and lots of Thank You’s for All those who have helped with bringing this event together, and all those who have helped by putting up posters and leaflets……we’re told there’s a long list! In the second hour, we have lots of local events and happenings to mention, including ‘Lark in The Square’, a Photography Competition at The Lightbox, their ‘Joke in The Box’ , Celebrate Woking’s ‘Summer Sounds’ at Woking Park , WWF Living Planet Centre’s Half Term activities and a performance of ‘Les Miserables’ coming to The Rhoda Mcgaw! So join us from 8-10pm here on Radio Woking. To listen on DAB, search Radio Woking. You can also download the free Radio Woking app, available for all mobile and tablets.